Floppy friends for young hands to play with. 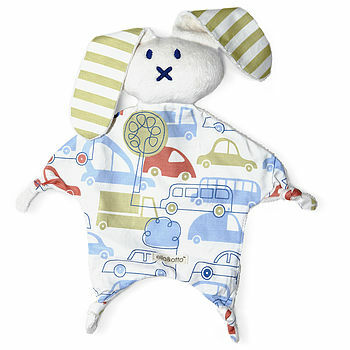 Our animal comforters come in two print designs, either blue beep or pink tweet fabric. The bunnies come with a rattle enclosed in their head and crinkle paper in their ears to keep baby entertained. 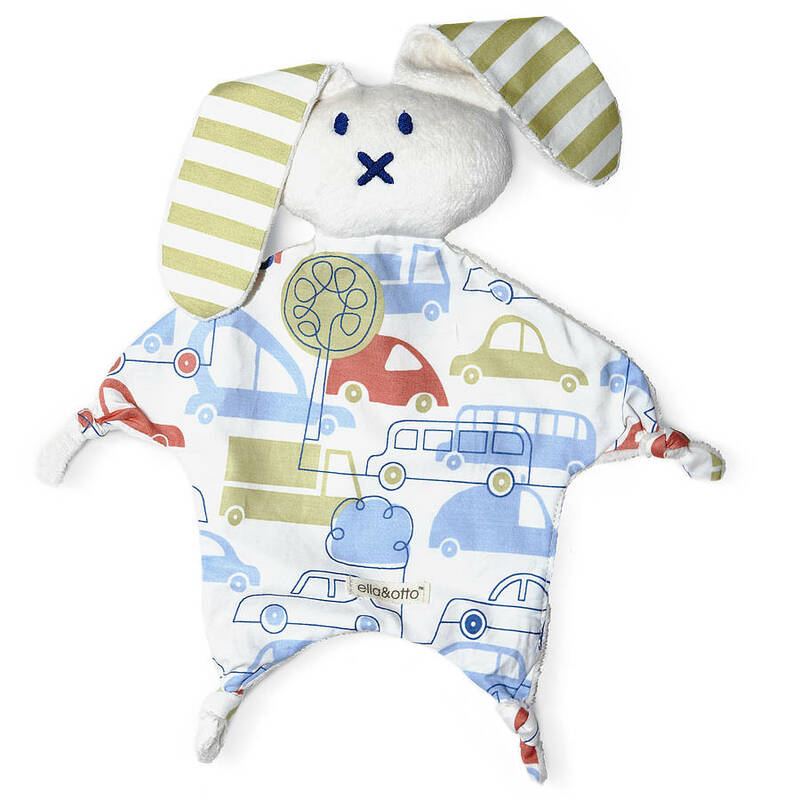 The front fabric is soft printed cotton fabric and the head and backing are made out super soft fluffy fleece.